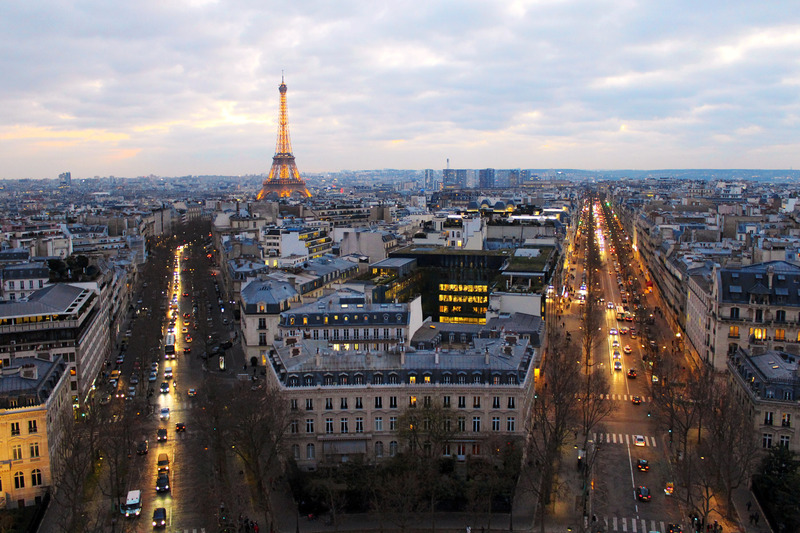 Paris skyline is one of the most recognizable and iconic sights in the world, a view I can never seem to tire of. Since I do love a good cityscape, I couldn’t leave the City of Light before having found the perfect spot for a skyline shoot. Most visitors feel compelled to rush up the Eiffel Tower, but I personally think there are better and cheaper places to find the best views in Paris. If you’re willing to try something new, or push a little farther afield, there are spectacular views to be had with fewer crowds and cultural experiences thrown in as well. Tour Montparnasse is a stunning 210-meters tall office skyscraper located in the Montparnasse area of Paris, less than two miles from the Eiffel Tower. I personally think the building is pretty ugly because it looks completely out of place on the Paris landscape, but it’s got the best view of Paris! Specifically, it has the best view of the Eiffel Tower, because you can actually see the Tour Eiffel from the top. 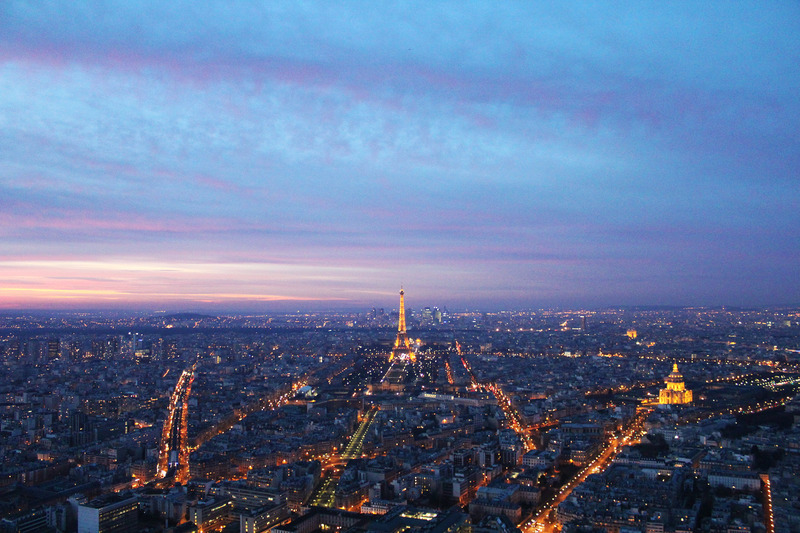 A 38-second trip in Europe’s fastest elevator will whisk you to a gorgeous observation deck on the 56th floor and from there, you can climb to an open-air terrace more than 200 meters above the Parisian skyline. The view is stunning! The Arc de Triomphe is only about 50 meters high, but its location makes it a great viewpoint. In fact, you have great views of La Defense, the Champs-Elysées and the Sacré-Coeur. Make sure you take one of the underpasses to the arch, it is too dangerous to try and cross the street. There is no elevator in the arch, so be prepared to walk up 234 steps! I always wondered why Parisians were so thin despite eating carbohydrates all day, then I discovered Montmartre. After climbing up what seems like a million steps, there is a stunning view that makes the burning calves worth it. 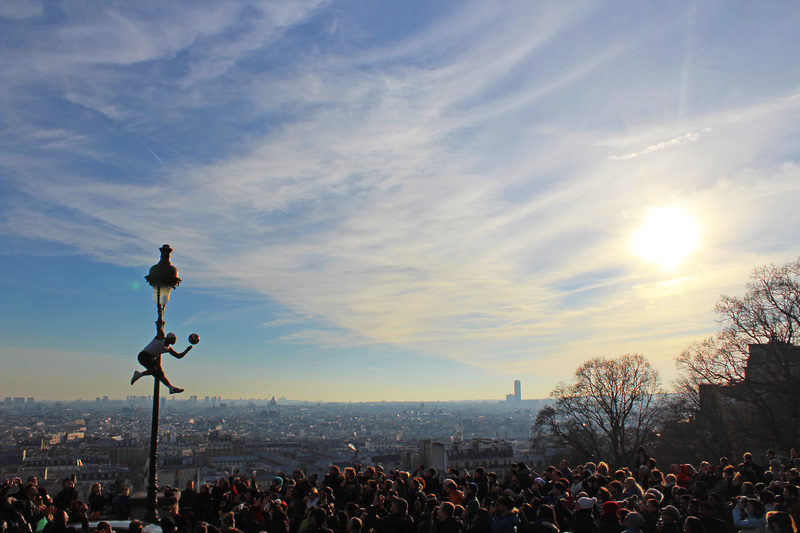 It is also possible to enjoy a much better view by climbing to the dome of the Sacré-Cœur Basilica. The vista from the external gallery is breathtaking and extends for over 30 km. If you’re lucky, you might witness a very particular kind of attraction there: Iya Traoré performing incredible freestyle soccer in front of the Parisian panorama. It took me two trips to Paris to figure out that Galeries Lafayette are not only a shopaholic’s paradise but also a great place to admire the whole Paris. 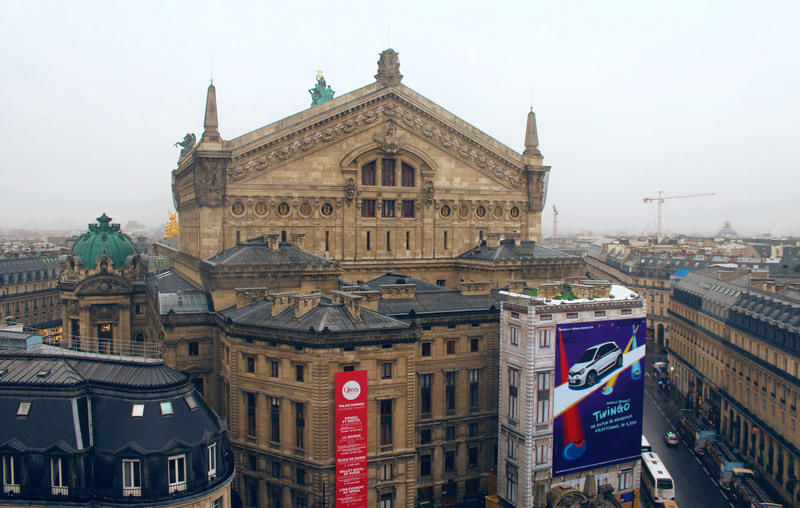 The Galleries Lafayette terrace is particularly good for a close-up observation of the famous Opera Garnier just across the street, making it easy to photograph its architectural detail. The best part is that this gigantic shop don’t charge admission, so you can visit for free! 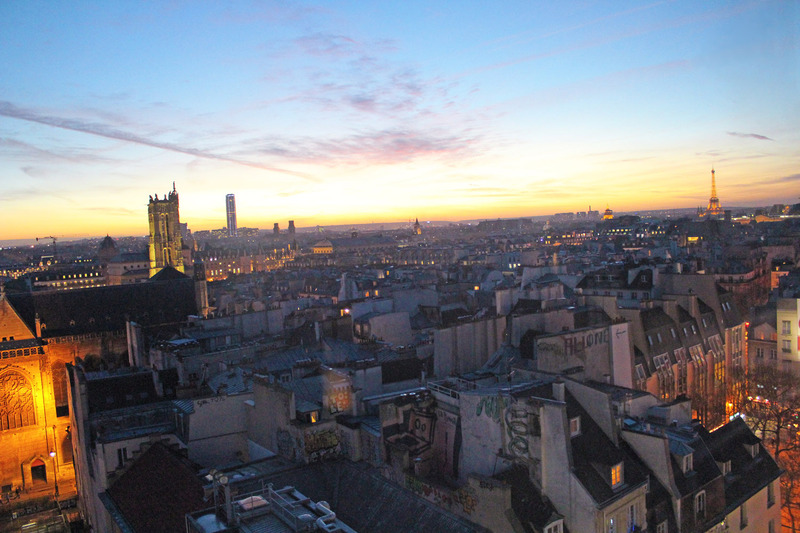 The Centre Georges Pompidou is known for its incredible exhibits, but not many visitors know where the real show is – from its top level, where the panoramic view is a real work of art. The building’s walls are quite clear, andyou can look out over the city all along the outside wall of the gallery . With fewer crowds and more continuous movement, this is a great option for those uninterested in sacrificing time for a shot of the whole city.